Intercontinental Impex was established in the year 1997. 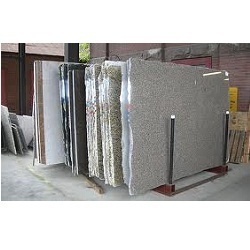 We are trader, exporter and importer of granite tiles, granite block, granite slab, coal, iron ore etc. Since our establishment, we are engaged in offering optimum quality products to the domestic as well as international market. targeting on client's satisfaction, we constantly work in close coordination with customers that helps us to provide cost-effective products to the worldwide market. We procure our range of products from reliable vendor of domestic and international market and our in-house quality inspection team makes an intelligent use of technology in determining the strength and durability of every single piece of the product. our success is based upon comprehensive leadership and on its capability to understand the needs of the customers right on time. Moreover the utility and quality of the products has enabled us to gain a strong foothold in the national and international market. today, due to the efficiency of our products we have very prominently established our foot in the Indian market and have garnered a huge list of reputed clients based in other countries. Last but not the least, we always strive to create a long lasting relationship with the valuable clients by maintaining their firm trust. we hope to continue all the achievements of the past in the days to come to excel in this demanding world which requires constant innovation and higher standards.